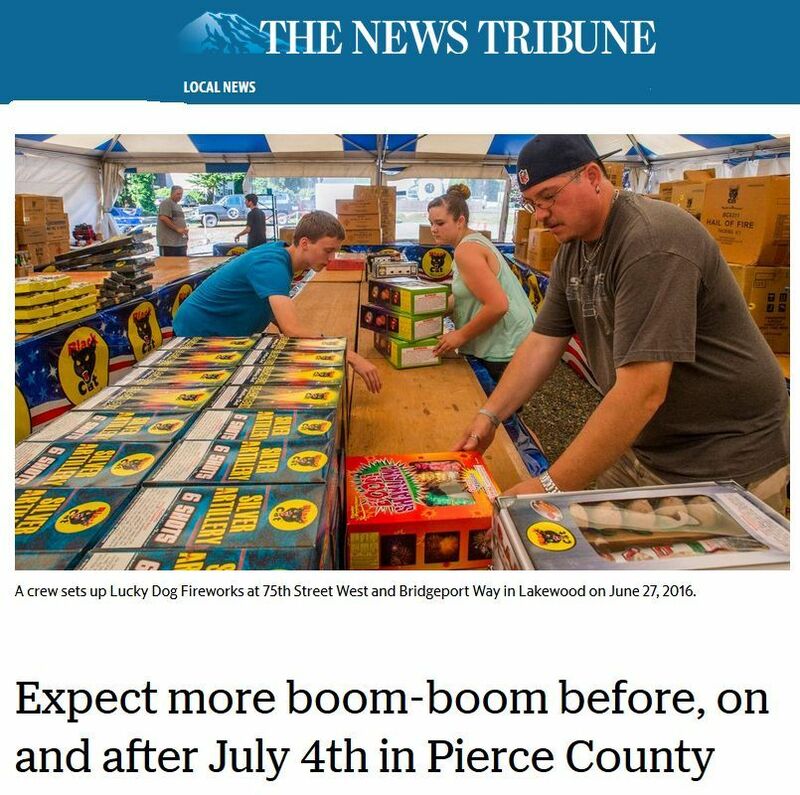 Pierce County will have the biggest increase in fireworks stands for Independence Day in 2018 statewide, based on issued licenses. A total of 707 retail fireworks stand licenses were issued statewide this year, according to the state fire marshal’s office. That number represents a 13.6 percent increase over 2017. Pierce County saw a 10 percent increase with 10 additional licenses issued for 2018 — the biggest increase in Washington. Legal sale of consumer fireworks begins June 28 at noon and ends on July 5 at 9 p.m. Some cities and counties restrict or ban the sale and discharge of fireworks. In Pierce County, municipalities follow a combination of state law and their own sales and discharge laws. However, four cities — Fircrest, Ruston, Steilacoom and Tacoma — maintain a complete ban on sales and discharge. Close to 250 fireworks-related injuries were reported in 2016, according to the Fire Marshal’s annual Injury and Fire Report. Many communities, including Tacoma’s Freedom Fair, offer public displays. Eatonville (June 30) Lake Ohop Homeowners Association, General Location: Eatonville. Eatonville (July 3) Eatonville Community Celebration, General Location: Eatonville Elementary School. DuPont (July 4) Northwest Landing Independence Day Celebration, General Location: City of DuPont. 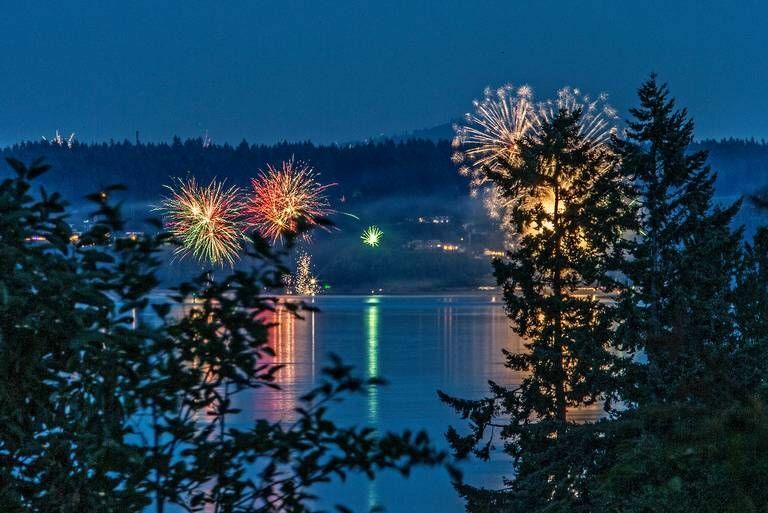 Lake Tapps (July 4) Lake Tapps 4th of July Celebration, General Location: Center of Lake Tapps. Purdy (July 4) Purdy 4th of July, General Location: Henderson Bay. Puyallup (July 4) Puyallup 4th of July Celebration General Location: City of Puyallup. Steilacoom (July 4) Steilacoom Fourth of July Celebration, General Location: City of Steilacoom. Tacoma (July 4) Tacoma Freedom Fair, General Location: Commencement Bay.